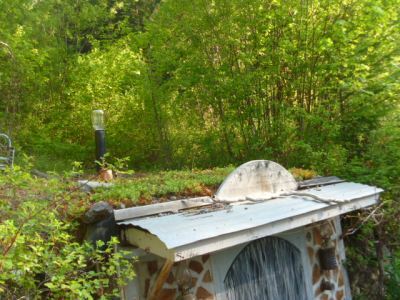 A living roof is an entity of itself; it's more than just a way of prettifying the scenery, a structure to protect itself and provide habitat for animals and insects; for an added bonus, it will prevent storm water damage to the soil. There is no downside once the structure is designed and built at least; the structure, due to the weight of the plants, both when dry and wet from torrential rains, or under the weight of accumulated snow (which won't slide off as it would from a normal roof of metal, for instance) has to be carefully designed. 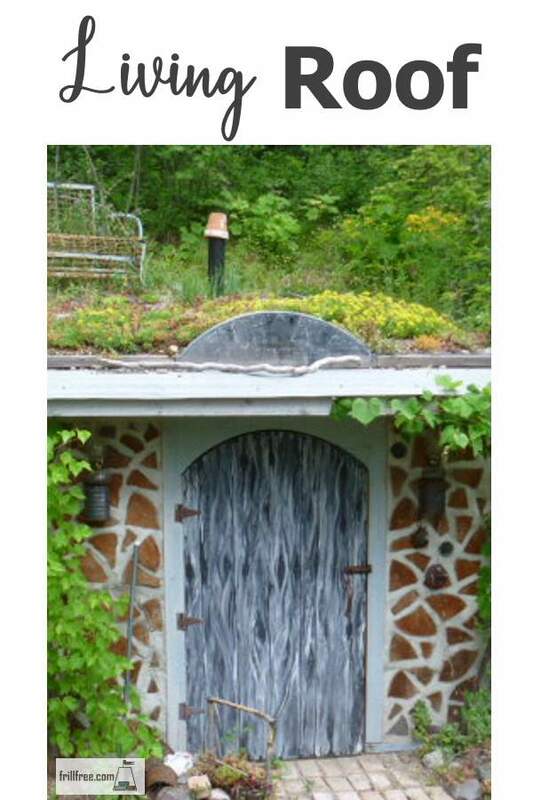 The design of a living roof is crucial for its success. Prior knowledge of engineering isn't necessary, but a grasp of fundamental physics is useful. Anticipating the damage that a heavy snowfall followed by rain, and including blustery winds could cause might mean the difference between something that continues to nonchalantly hold up in all weather, and a mess that collapses doing incredible damage to the dwelling and all it holds. Living roofs depend on their layers for not only strength, but water repelling properties. Good drainage is essential, but it should be gradual, rather than a sudden flood. The plants and soil are a primary way that the rainfall is slowed enough; Sedum and other succulent plants retain moisture preventing it from rushing off the roof, and hold it for their own use over the dry times to follow. Layers of a living roof starting at the bottom are roof beams, which are usually extremely robust. Then the actual ceiling of the building, followed by some type of insulation; Styrofoam Blue Board is a commonly used rigid insulation, which has to be covered to prevent weathering which reducing the R factor. Protecting it with layers of plastic is always a good idea. Above that layer is usually a thick rubber mat, or EPDM. This is often used for the base of tar and gravel roofs, and for fish ponds. It's heavy and unwieldy to handle, but it's thick enough that it won't tear or pull apart - as long as it is protected from ultraviolet light. On top of the rubber membrane is where the fun begins; usually a layer of straw is laid down, then covered with engineered soil. In some cases native soil from the building site is used, but this could carry lots of weed seeds, which can be a major problem. Starting with pasteurized soil is a good way to prevent this. Many different kinds of Sedum thrive on roofs in the challenging conditions - no surprise there, as they originate in hot, dry, cold, windy inhospitable conditions. Other plants can be used too; grasses, iris (Iris tectorum has been a classic for growing on roofs in Japan for centuries). 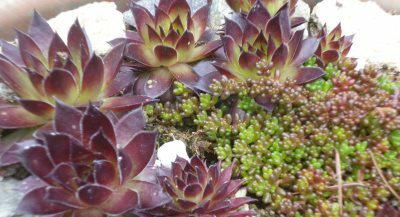 Sempervivum, which used to be credited with preventing lightning strikes are a great choice - why else would they be called 'house leeks'?